← Tune into the “No U Aint” radio show today @ 11am(PST)…. BARACK OBAMA How Did SPIDER-MAN Get in the White House? 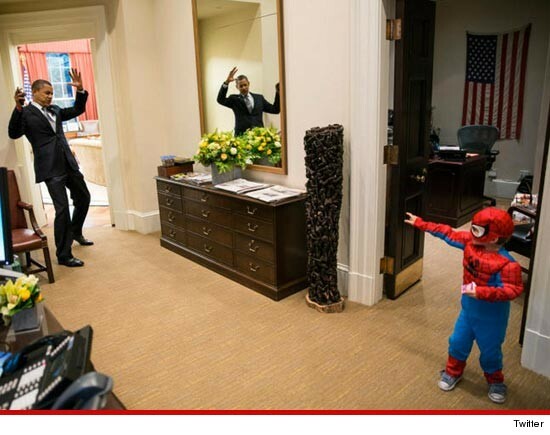 President Barack Obama posted this pic on his Twitter feed … showing him goofing around with the son of a White House staffer in the Outer Oval Office just before Halloween. How cool is our Pres?!? This entry was posted in Gossip and tagged NO U AINT Radio, President Obama, Spiderman. Bookmark the permalink.